To help our clients and their employees make the most of their employee discount program, we're creating a series of short tutorials about the Access Perks program. Click here to read more Access Perks Product Updates and Tutorials. In the handy dandy Access Perks mobile savings app, you'll find a nifty Savings tab tool that will automatically tally how much you've saved using and redeeming deals. Follow these guidelines on how to use the Savings tab. 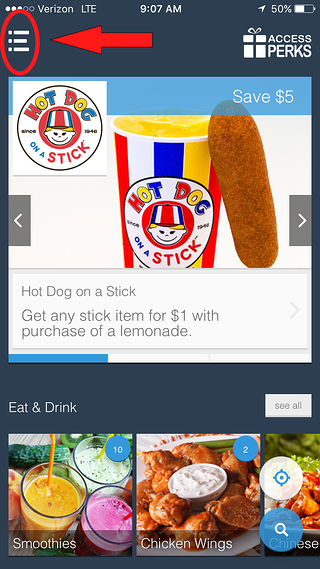 After logging into your Access Perks mobile app, check on the savings you've racked up by first clicking on the menu button in the upper left hand corner of the home page. Once you've clicked the menu button, you'll see the drop down menu appear. 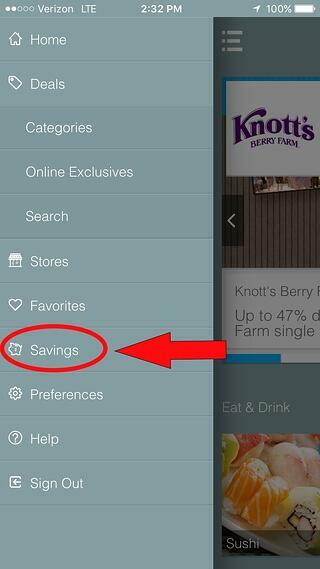 You'll want to click on the "Savings" icon with the piggy bank. 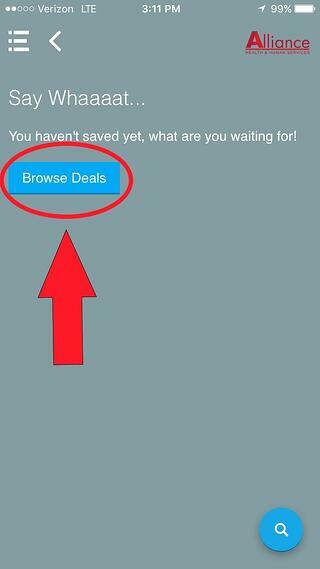 If you haven't yet used your app to redeem an offer and save, your screen will encourage you to browse deals in order to start a savings tally. And if you've been using your app to take advantage of those deep discounts, then your screen will highlight a total savings sum at the top followed by a list of merchant offers you've redeemed. Each redeemed offer includes specific details as to when you used it and how much you saved. 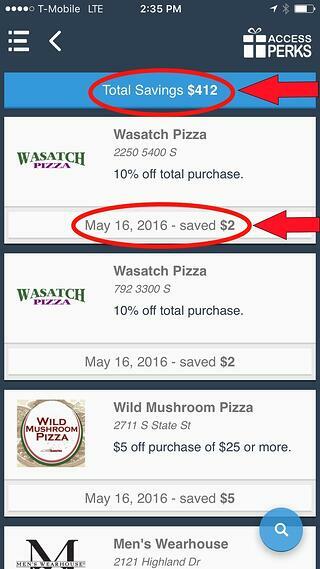 The Savings tab tool couldn't be any easier to use. You simply search, find and redeem merchant offers at places you shop everyday and the Savings tab does the rest. Everything is automatically computed so you don't have to worry about doing any of the math!